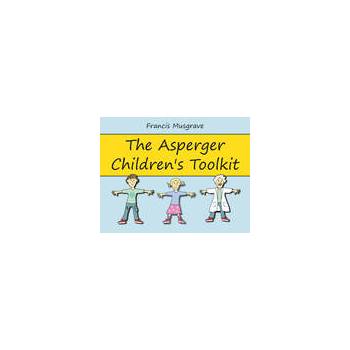 Author Francis Musgrave Publishing Date: 41014 Binding: paperback Growing up with Asperger Syndrome (AS) can throw up all sorts of challenges, but never fear, The Brain Guru, The Sensory Detective and The Social Scientist are here to help! These likeable characters guide children with AS through some of the trickiest, stickiest conundrums known to humankind: from anxiety and negative thinking, to sensory overload, emotions, friendship and trust and social situations. By working through the activities and using the cut-out-and-keep tools with a parent, carer or teacher, children with AS will learn how to build upon their strengths and develop techniques for coping with areas of difficulty - as well as how to handle setbacks and celebrate successes along the way! The important topic of staying safe in the digital world is also covered, providing children with the knowledge and know-how they need to use the internet, social networking and text messaging safely. Original and highly interactive, with attractive colour illustrations throughout, this is an essential toolkit for every family with a child with AS.